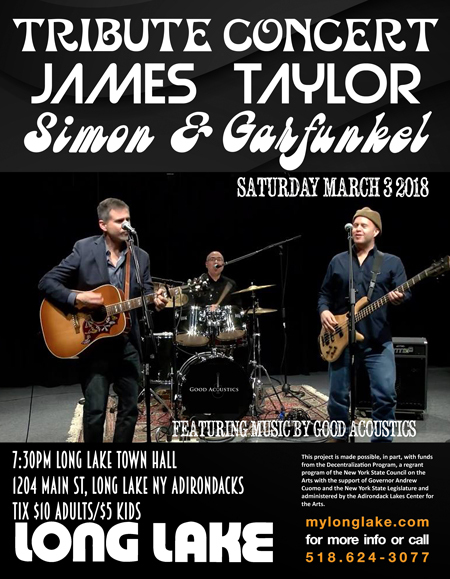 The Town of Long Lake Parks and Recreation Department is hosting a tribute concert to James Taylor and Simon and Garfunkel on Saturday, March 3, 2018 at 7:30p.m. at the Long Lake Town Hall featuring the Massachusetts Trio, Good Acoustics. 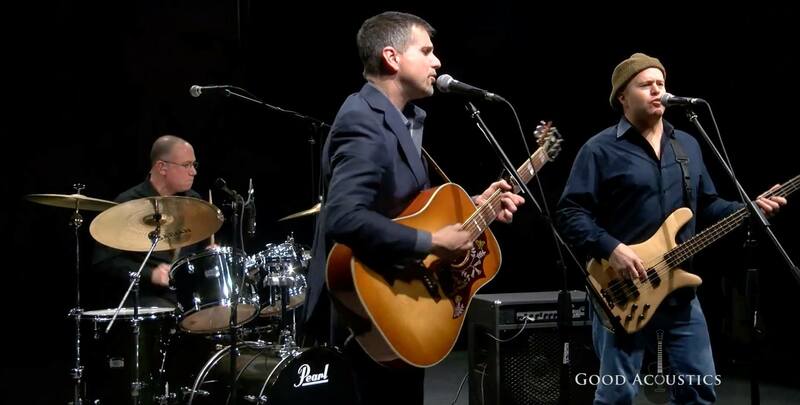 Good Acoustics features musicians Mike Smith, Dave Fazio, and Bill DeSanty. They have been performing professionally all over the east coast for over three decades. 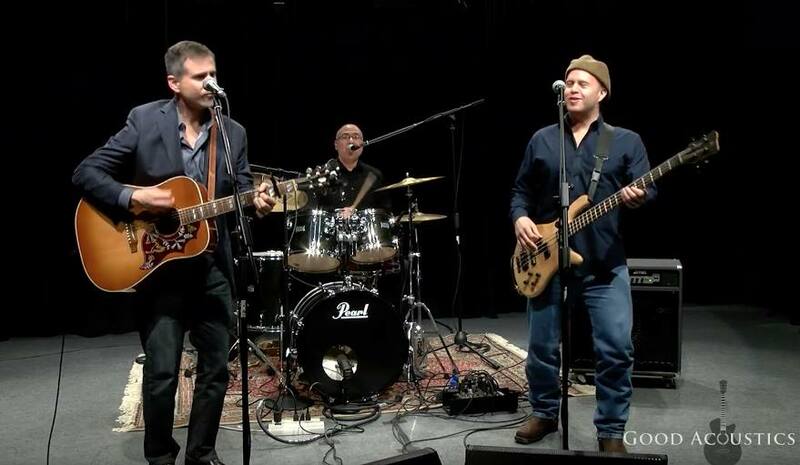 This acoustic-rock trio is well known in the Western Massachusetts area for their emphasis on strong vocals, with all three members contributing as lead singers and each contributing to the three-part harmonies found in the songs they perform. 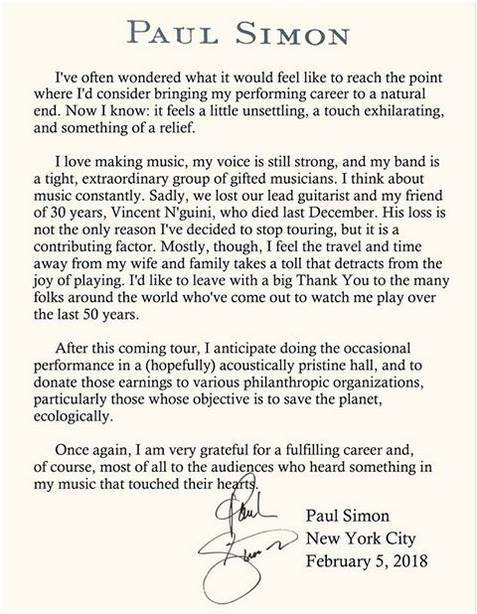 It has been nearly 45 years since Simon & Garfunkel first split at the height of their fame in 1970 that has motivated Mike and Dave to pursue their passion by paying tribute to this incredible duo, the two bring over 25 years of singing two-part harmonies and excellent musicianship to the stage. Lead singing drummer Bill DeSanty is the featured vocalist in the James Taylor tribute set comprised of live and studio versions of J.T. classics. His spot-on rendition will keep you mesmerized throughout his entire performance. The concert event will feature two sets. First up is a tribute to James Taylor. James Taylor continues to have a career spanning multiple decades, two continents, a battle with depression, heroin addiction and facing turbulent times in American history. James Taylor’s memorable and timeless songbooks and performance will feature hits ranging from Sweet Baby James, Fire and Rain, Mexico, You’ve Got a Friend and many more. The second half of the tribute concert will feature Simon and Garfunkel’s hits reflective of a time when the prevailing vibe at the tail end of the Sixties was anything but peaceful or loving. It was a time defined by Vietnam, the draft lottery, civil rights movement, and the Nixon era. Look for songs from Bridge Over Troubled Water, hits from The Graduate, America and more to be featured. This is a general admission event. Tickets for adults are $10, kids are $5. Tickets can be reserved by phone by calling 518-624-3077. Cash or Check only to Town of Long Lake, PO Box 496, Long Lake, NY 12847. This 125 seat space is one of the oldest buildings in the community and doubles as a meeting space and theatrical venue. 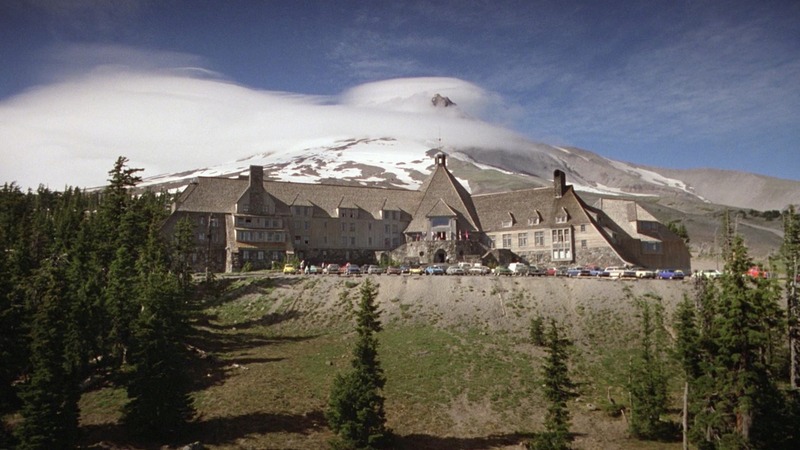 Please visit www.mylonglake.com for more info about lodging, dining, shopping and upcoming events. This project is made possible, in part, with funds from the Decentralization Program, a regrant program of the New York State Council on the Arts with the support of Governor Andrew Cuomo and the New York State Legislature and administered by the Adirondack Lakes Center for the Arts. Prior to the show visitors are invited to dine at the Adirondack Hotel, Long Lake Diner, Adirondack Growl & Grub or the ADK Trading Post. This is a general admission event and doors open at 7p.m. Tickets can be reserved by phone by calling 518-624-3077. Cash or Check only to Town of Long Lake, PO Box 496, Long Lake, NY 12847. This 125 seat space is one of the oldest buildings in the community and doubles as a meeting space and theatrical venue. Please visit www.mylonglake.com . 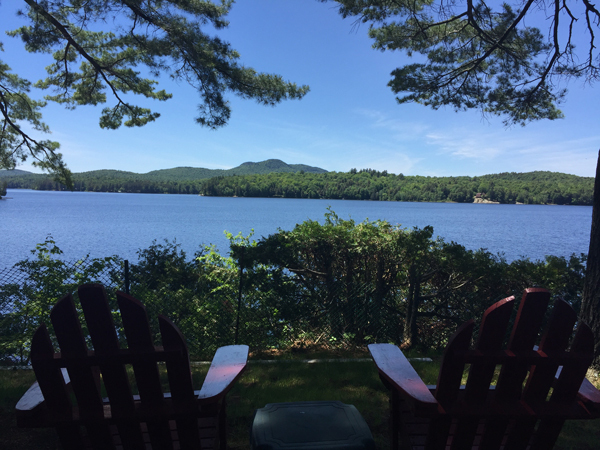 Long Lake is a year-round Adirondack Vacation destination boasting natural beauty, untouched forest, hundreds of miles of waterways and graceful shoreline. 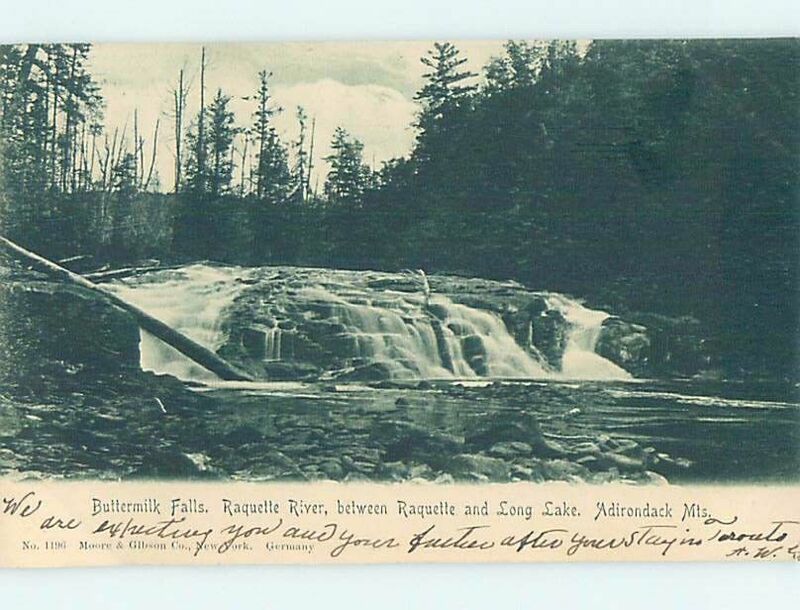 The Adirondacks of Upstate New York is one the most scenic wilderness destinations in New York State. It’s hard to believe Long Lake is only a two hour drive north of Albany. The beauty and serenity of the mountains and lake await. Long Lake boasts year-round lodging at the Adirondack Hotel, a storied historic gem in Long Lake and it is the oldest operating hotel in the Adirondacks. Long Lake is a bustling year-round community where everyone is made to feel welcome. Recreational activities are available from the free ice skating rink at Mt. 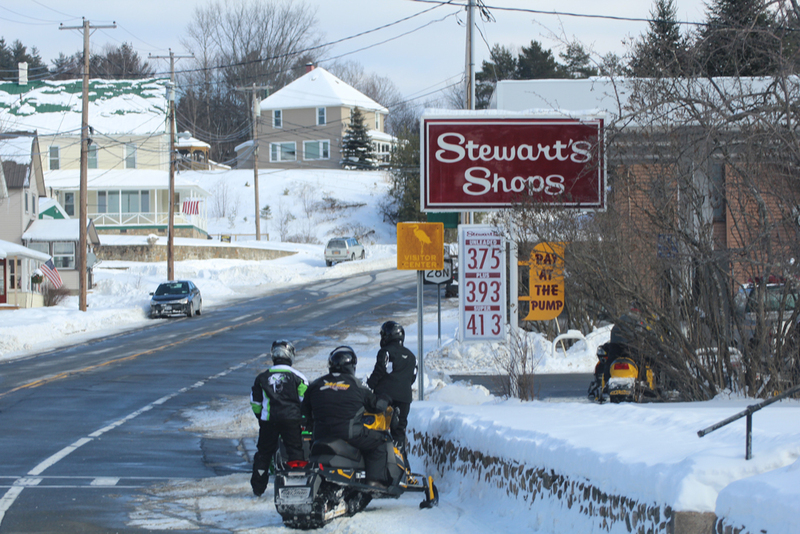 Sabattis with free ice skates for everyone in the whole family, a groomed sledding hill, cross-country ski trails and over 70 miles of groomed snowmobile trails linking to the greater Adirondack corridors linking communities from all over the Adirondacks. Snowshoes and Cross Country Ski rentals are available at the ADK Trading Post and Hoss’s Country Corner. Destination Long Lake includes an abundance of mom and pop eateries from the Adirondack Growl and Grub with craft brews, the ADK Trading Post, a unique gift and sandwich shop with homemade soups and hearty panini’s made to order. 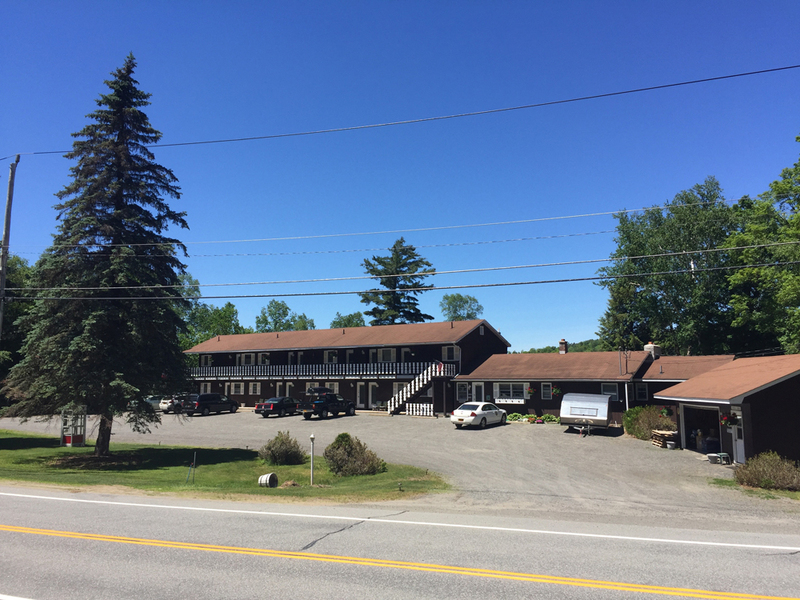 The Long Lake Diner offers a cozy pub overlooking Jennings Park Pond with an assortment of comfort foods and the Adirondack Hotel offers a full bar, hotel rooms and an abundant lunch and dinner menu to keep you satisfied. Experience the authentic Adirondacks and have a Winter Weekend getaway in one of the most beautiful locations in the Northeast. Our first stop was Blueberry Motel located at 572 Deerland Road. Owned by David and Daniela Smith, the Blueberry is open seasonally with seven units and a sleeping cabin. 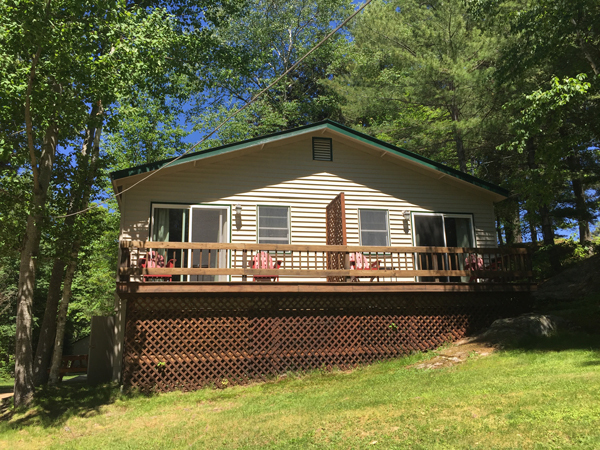 This property is quiet and offers the Adirondack feeling of peace and tranquility. 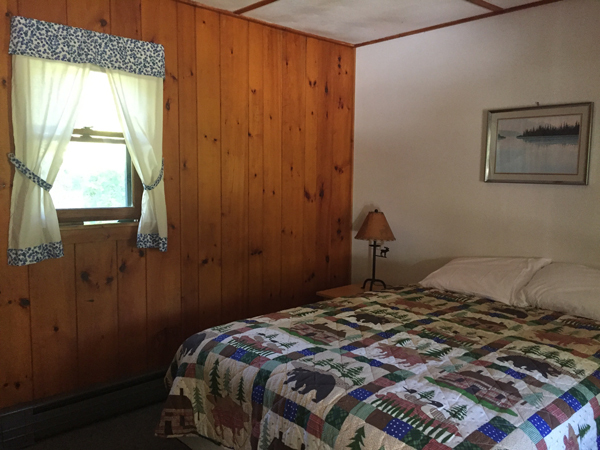 The property is one of the first as travelers enter into Long Lake from the south on NYS Route 30/28N from Blue Mountain Lake. There is a barn on the property with four levels and half a loft. David and Daniela look forward to renovating the building to offer additional space for guests to recreate and relax in the upcoming seasons. Dave and Daniela Smith also own the Sandy Point Motel located 865 Deerland Road. 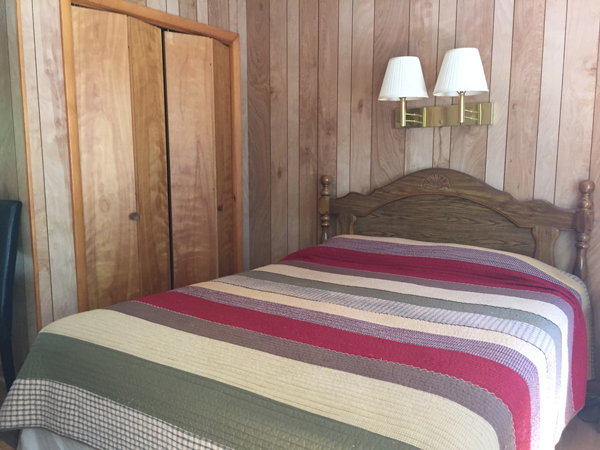 This seasonal property boasts two floors of motel units overlooking Long Lake. 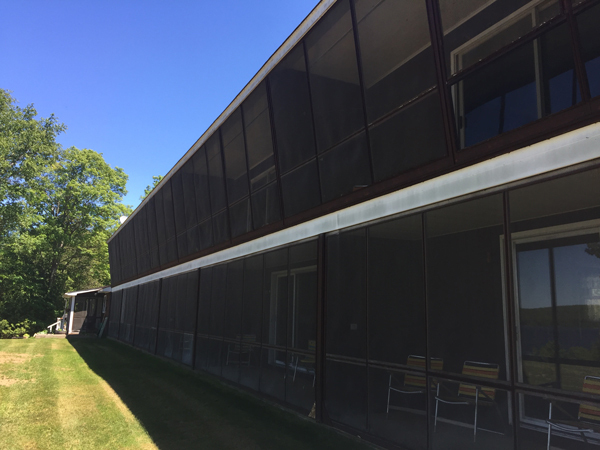 The views and the individual and private screened in porches are unique to the rooms. Daniela’s quilts adorn many of the beds. Daniela learned to quilt at Adirondack Quilt Camp, an annual event held in Long Lake, NY for the last seven years. 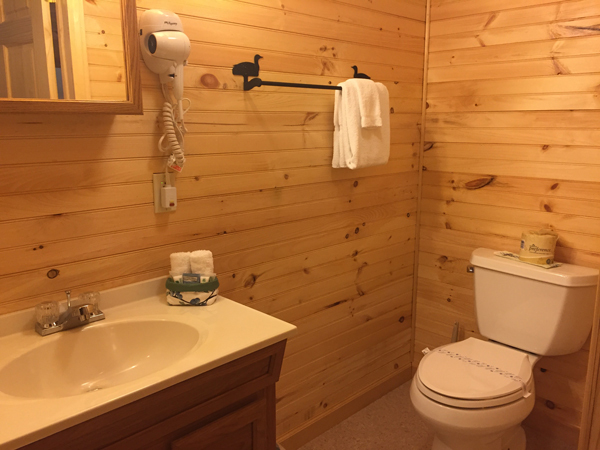 Daniela is a recent transplant to Long Lake and is truly enjoying her time as a lodging proprietor, discovering a passion for interior design and hospitality. 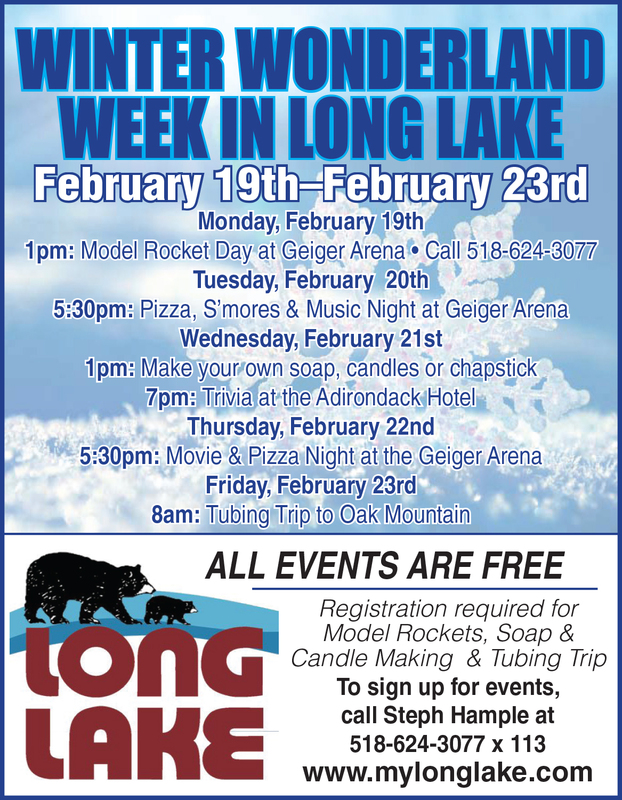 The week of Monday, February 19th to Friday, February 23rd is Winter Wonderland Week in the Town of Long Lake. The Long Lake Parks and Recreation Department has scheduled free activities for kids of all ages. Monday, February 19th, 1pm at the Geiger Arena if Model Rocket Day. Kids sign up to build rockets. 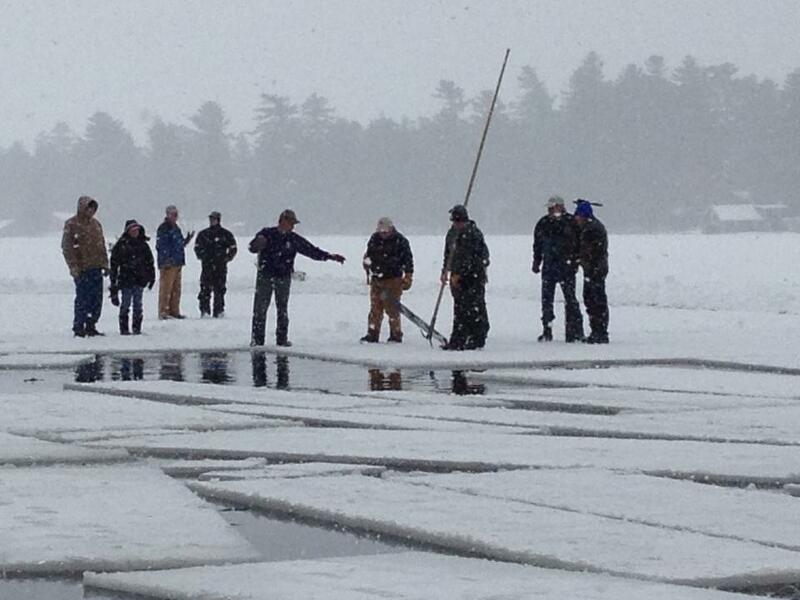 The launch will happen at either the Geiger Arena or the Long Lake Ball Field, depending on wind and weather. Space is limited so please sign up by calling 518-624-3077 ext. 113. This event is free. Tuesday evening, February 20th is Pizza Night at the Geiger Arena. At 5:30pm enjoy pizza, music and s’mores. Kids can request their favorite song to blast while skating and enjoying s’mores around the fire. Sledding is always available. There are ice skates, helmets and sleds available on site. Wednesday, February 21st is Make your own Soap, Candles or Chapstick, starting 1pm day at the Geiger Arena. Kits are limited so make sure to sign up early to guarantee your spot. Thursday, February 22nd is Movie and Pizza Night at the Geiger Arena. Swing by around 5:30 for pizza, popcorn and hot chocolate and enjoy a movie to be announced or head out to skate or sled. Other treats include s’mores and a bonfire. 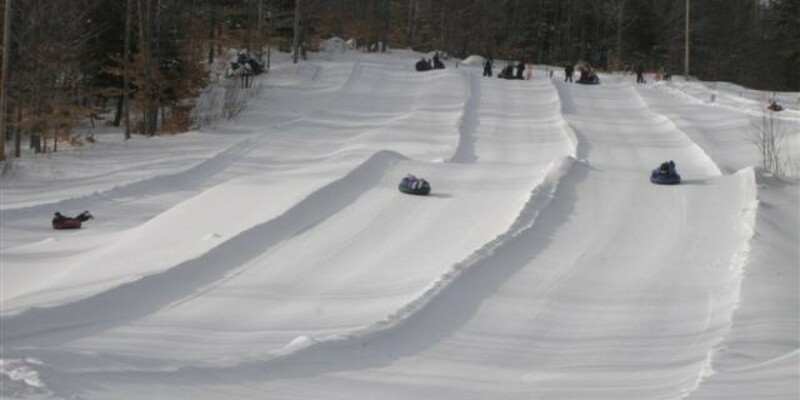 Friday, February 23 is the Annual Tubing trip to Oak Mountain. Kids of all ages are welcome to sign up for this trip that leave the Geiger Arena at 8am and returns at 1pm. Two hours of tubing with lunch included is free and space is limited to 16 kids. If you would like more information or would like to sign your kids up for the Monday/Wednesday/Friday events please call Steph at 518-624-3077 ext 113. 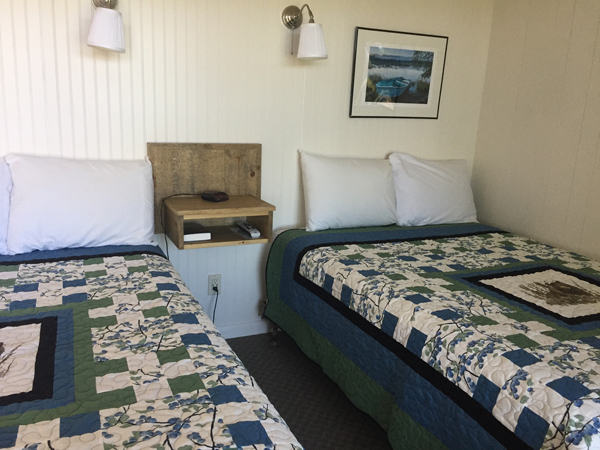 The Shamrock Motel and Cottages owned by Tim and Beate Touchette, offers a variety of lodging with updated motel units featuring giant picture windows overlooking the pristine grounds and lake. They also have a selection of cottages with kitchens and screened-in porches and newer efficiency units. 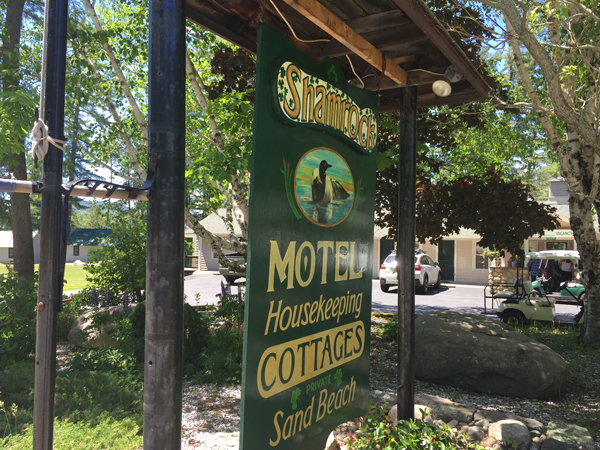 The Shamrock Motel and Cottage also offers private homes including the Osgood House and the Houghton House with space for larger groups. The property offers a beach, canoe rentals, outdoor grills. The cottages, houses and efficiencies offer kitchenettes. Wifi, and satellite tv are available as well as a playground and recreation room. Ask about the network of nature trails on Mt. Sabattis or enjoy activities on site. 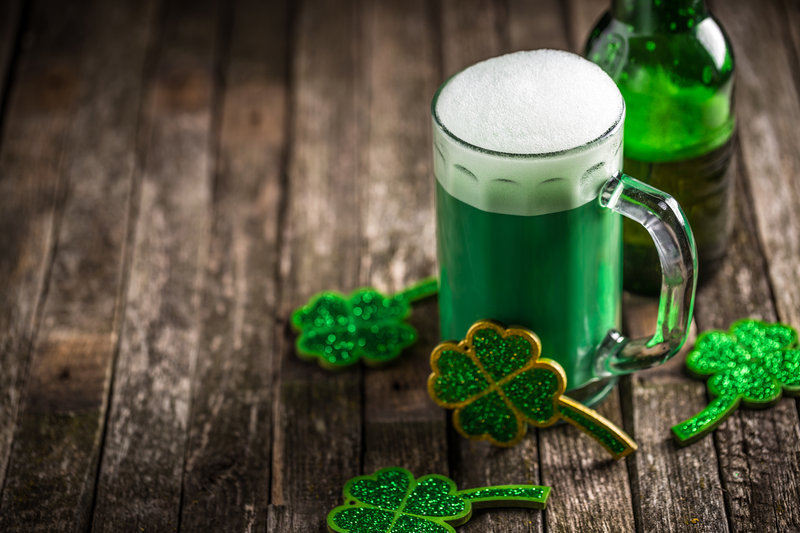 Many families come to the Shamrock year after year, and generations of families come back and make this Long Lake destination their second home. 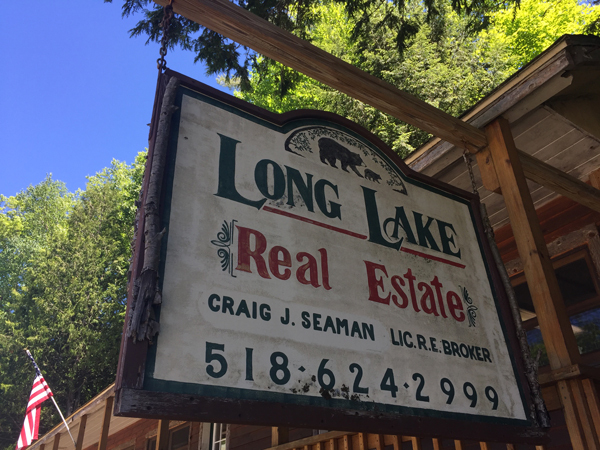 Long Lake Real Estate has been owned and operated by Craig Seaman for the last 24 years. The office is located at 870 Deerland Road. Craig offers full service real estate from listings, showings and access to the MLS and realtor.com. 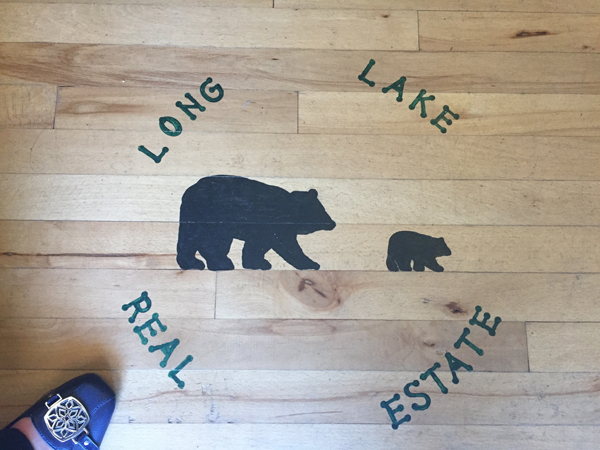 Long Lake Real Estate also offers seasonal property rentals from small cottages to larger homes, many located on the water. Craig grew up in Long Lake and has plenty of knowledge about the area, the entire Adirondack region and its unique history and lore. 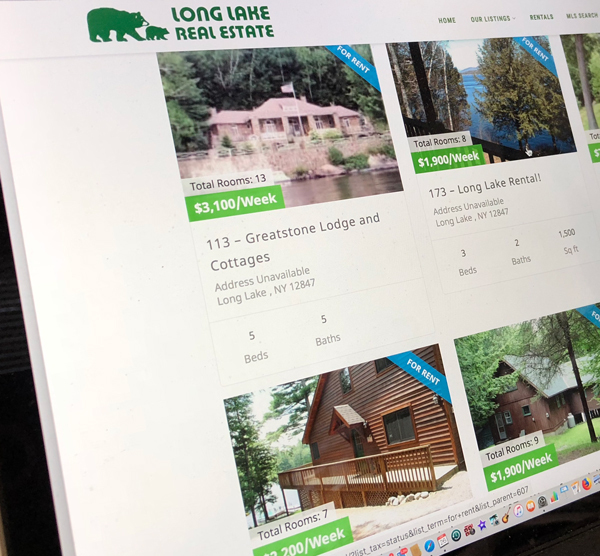 He’s excited about the 2017 season and invites everyone to take a look at his listings located at www.longlakerealestate.com or call for an appointment at 518-624-2999. The Raquette Lake Winter Carnival will kick on Saturday, February 17th with youth activities start at 11am . 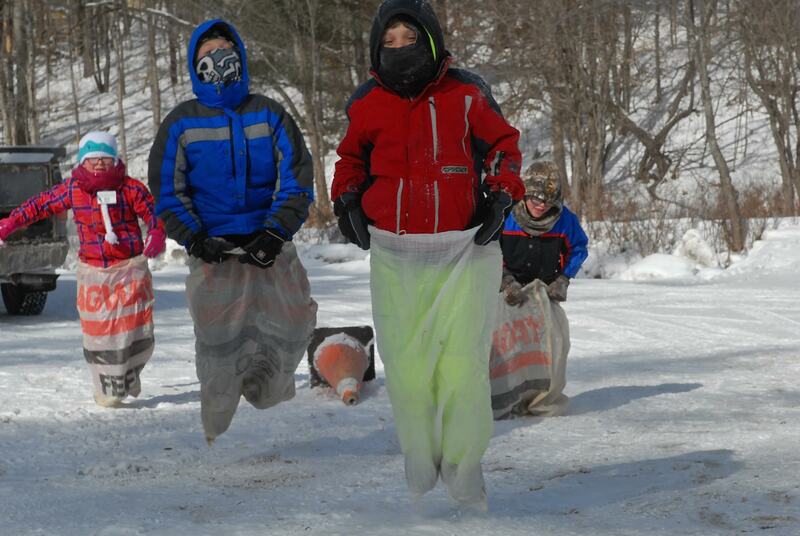 Games will include a sack race, sledding, tire obstacle, balloon chase, and tug-of-war. At noon there will be a Ladies Frying Pan Toss with cash prizes of $75, $50, $25. The Team Ice Golf Competition will be held throughout the day for teams with cash prizes of $75, $50, $25. Registration for events will take place at the Raquette Lake Library. Round out the day by warming up at the bonfire and the annual tug-o-war. At 2p.m. Magician Chris and Pete of Chris and Pete Amusements will perform in the Raquette Lake Library. The show is free. Fireworks are slated for 7pm. Showcase will be weather dependent. Check www.facebook.com/raquettelake for schedule updates or last minute cancelations. On Sunday, February 18th, 9 a.m. to 11:30 a.m. the Raquette Lake Ladies Auxiliary sponsor a $10 all you can eat Pancake Breakfast at the Raquette Lake Fire Hall. At Noon on Sunday the Cross-Cut / Chainsaw competition will be held on the Raquette Lake Village Green. This long standing tradition is a not to be missed event featuring timed men’s, women’s and mixed divisions. Cookie donations are requested for Saturday, February 18th. Please drop off at the Raquette Lake Library. As in years past the Raquette Lake Library will be open for hot chocolate, cookies and warmth all day on Saturday. Raquette Lake Events Coordinator Kat Forsell will be coordinating the events of the weekend. Kids Games are a blast! 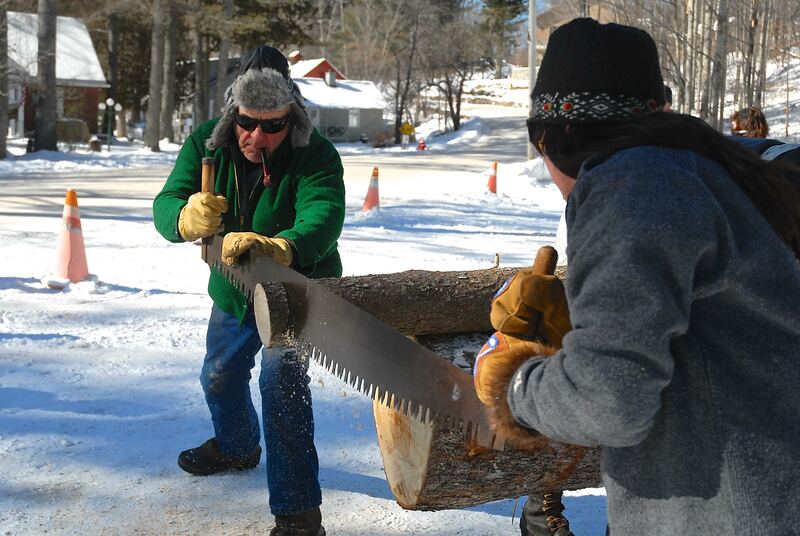 Cross Cut & Chain Saw competition always happens on Sunday, of Winter Carnival Weekend at noon! 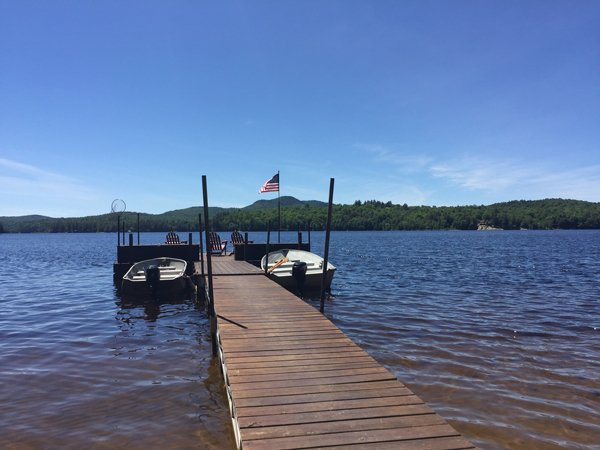 Raquette Lake and Long Lake may be located in the central Adirondacks where generally people think of it as the place for summer escape, boating, and s’mores, but Winter time offers plenty of action and activities for everyone. Raquette Lake Supply has announced their annual ice job is slated for February 10th. 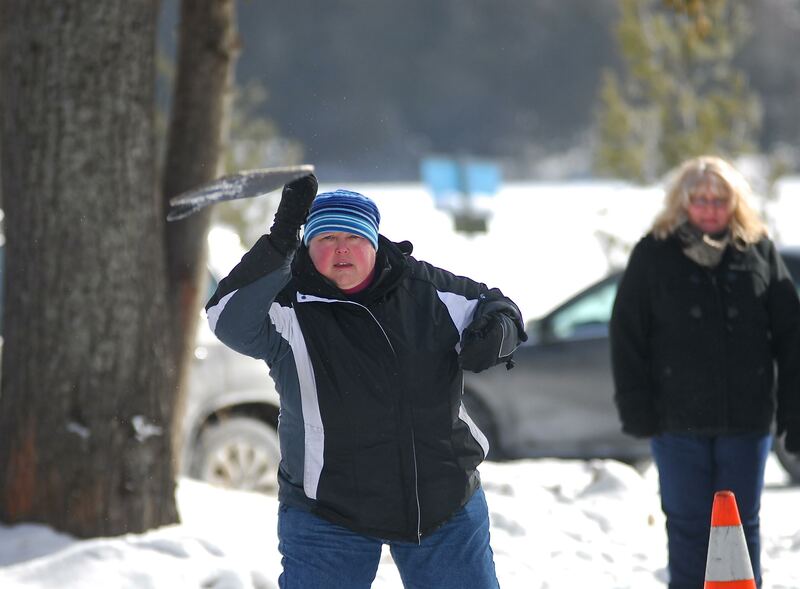 This long-standing tradition happens on the shores of Raquette Lake right outside of the RL Supply. Teamwork, genuine ice cutting equipment and lots of sweat go into the cutting and storing of the ice which is used from harvest until it melts, typcially sometime in August. This helps keep the entire building cool in the summer months. 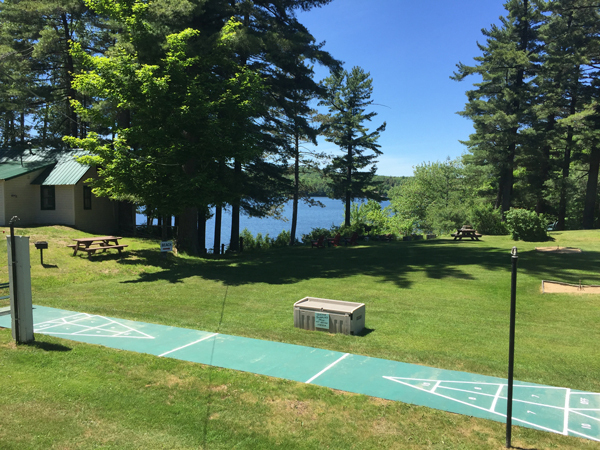 Come over to Raquette Lake and see it for yourself and remember… if you are standing around, a little too close, you may be asked to participate! Plenty of activities in the Long Lake area February 9th & 10th, 2018. 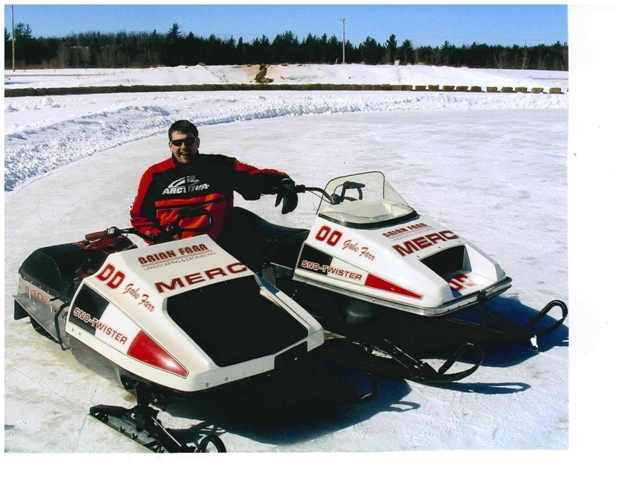 Visitors and residents in the area can enjoy an Ice Fishing Derby and a Poker Run. 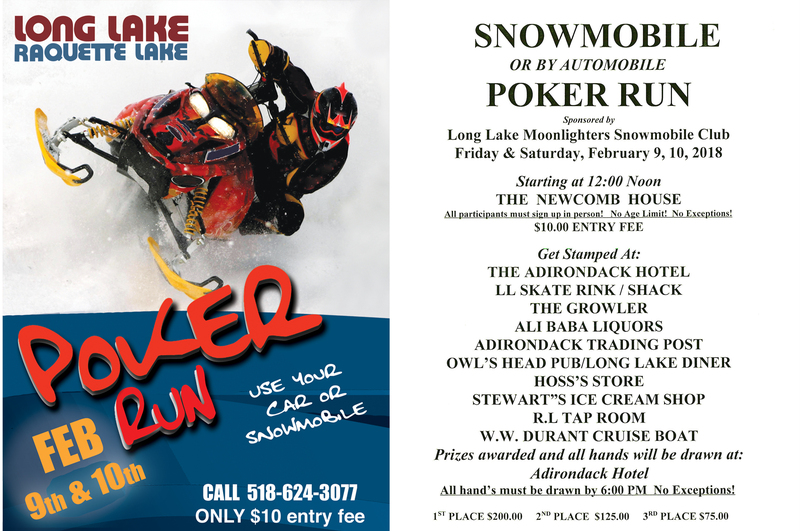 The Long Lake Moonlighter’s invite you to participate in the Annual Poker Run spanning three communities from February 9th to February 10th. Cards will be available on Friday, February 9th at Noon at the Newcomb House located at 5699 NY-28N, Newcomb, NY 12852. And yes we are super duper excited the Newcomb House has re-opened for Snowmobile Season 2018, so make sure you stop in an let them know how happy we are they are open! Raquette Lake Tap Room ** please note, Ice Job happening on Sat. Feb 10th. Upon completion of the run, players check into the Adirondack Hotel on Saturday, February 9th by 5pm. All hands must be drawn by 6pm the latest. No exceptions! 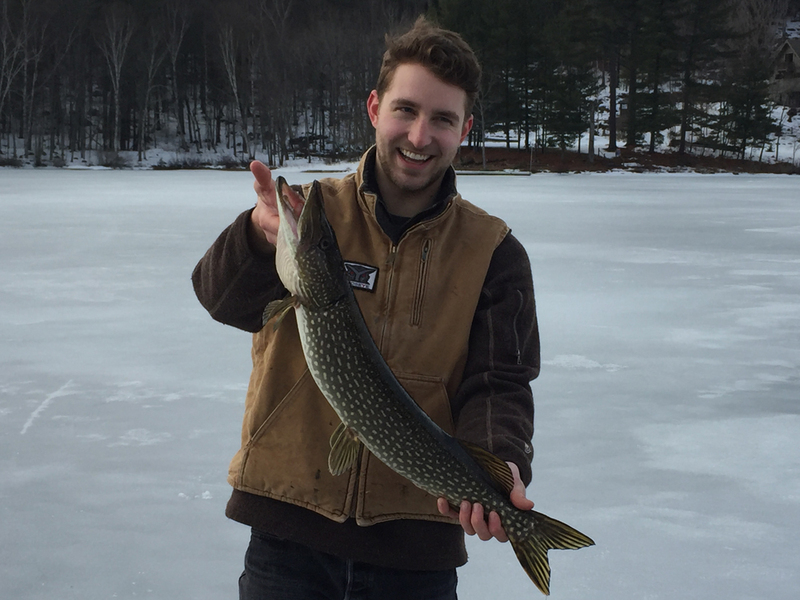 The Long Lake Fish and Game Club will be hosting an Ice Fishing Derby on the waters of Lake Eaton and Long Lake on Saturday, February 10th, 2018. Registration is $25 per person at 6am at the Geiger Arena, 6 Pavilion Way, off of Deerland Road (across from the Long Lake Post Office) On going registration will continue at the weigh in station at the Long Lake Town Beach located at 1258 Main Street. Fish for Land-locked Salmon, Trout and Pike. Lines in at 7am and derby ends at 3pm. There will be a 50/50 drawing benefiting the LL Fish and Game Club and cash prizes. Participants must have a valid NYS Fishing License. The question is.. what sets this derby apart? Long Lake and Lake Eaton are big lakes with all sorts of places to fish. This casual derby is not high-strung. There are cash prizes, but the atmosphere is family friendly, and all about the sport. Come down to the Long Lake Shack which will be parked at the Town Beach to visit with our members of the Long Lake Fish and Game Club. Great camraderie and good people and best of all.. Good FISH! 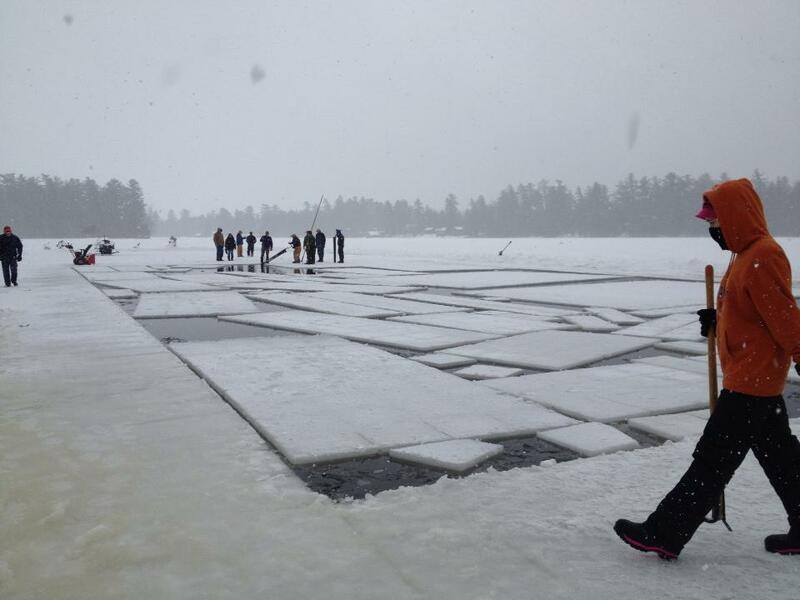 The Ice Job on Raquette Lake has it’s roots steeped in Adirondack history. Looking at the Stewart’s Shop photo – can you wager a guess what year this was taken? Send us your best guess and email it to longlake@mylonglake.com by Friday, February 9th. Winner announced on FB and wins a genuine Long Lake pin! Feb 1, 2018 This post was originally published eight years ago! Hard to believe how fast time flies. Gabe doesn’t race anymore and he has TWO children. Gabe’s insights to the sport and his love of the event still shines through. Look for the next round of Vintage Snowsled Races sponsored by the Long Lake Lions Club on Saturday, February 3rd, 2018. Registration 8:30am, Hot Laps 10:30am, Racing at 11am. Admission for spectators $10. Kids under 16 are Free! Gabe Farr, a native Long Laker, has been racing vintage sleds for over ten years and boasts several trophies and a few seasons back he garnered title of Driver of the Year. Gabe is married to his wife Kami and they have one child, Griffin who Gabe hopes will eventually carry on the family tradition. When not racing the circuit, Gabe works for the New York State Electric and Gas Company. Gabe owns four sleds: 1976 440 Liquid Cooled Mercury Sno Twister, 1975 440 Free Air Mercury Sno Twister, 1975 340 Free Air Mercury Sno Twister and a 1975 340 Fan-cooled Mercury Trail Twister. This year Gabe will travel to the World Championships in Eagle River, Wisconsin on January 6th. His pit crew includes: his father Brian Farr, in charge of motor and engine work and Johnny Walker, handler of fuel, antifreeze and suspensions. He relies on the talents of his Dad and Johnny to pull him through the grueling schedule. It is clearly a team effort and Gabe attributes his successes to the dedication of the entire group. Gabe trains on Jennings Park Pond as soon as the ice is thick enough to plow and groom. He races between eight and twelve times a year mainly on the Northern New York circuit. Gabe admits his favorite place to sled is on the smaller tracks. They may not be as fast, but do require more driver skill. The fastest he has ever been clocked was on a flooded track in Booneville at 76 mph, but his sleds are geared for up to 100mph. Gabe races three of his four sleds in two classes for a total of six races in each competition. There are three lap heats and five lap finals for each race. Gabe states his training consists of practicing on the loop on the pond as often as possible which helps build his stamina and hones his skill. This year Ryan Kitchen will ride one of Gabe’s sleds for his first time in the competitive circuit. The Long Lake Lions Club works with the NNYVSR to bring the races to town, filling the long missed gap of the 100 Miler a notorious racing event from years past. The Lions Club offers a variety of food and snacks from the Roach Coach. Need a break from the cold, come on in, do some shopping and grab a bite at one of our local restaurants. Gas, food, lodging, friendly folks are the earmark of Long Lake and we make no exception during the Vintage Races. Please check # or www.vintageicesnowmobileracing.com for more information.